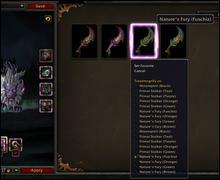 Some class and item hotfixes went out this morning! Patch 8.0.1 Live This Week! 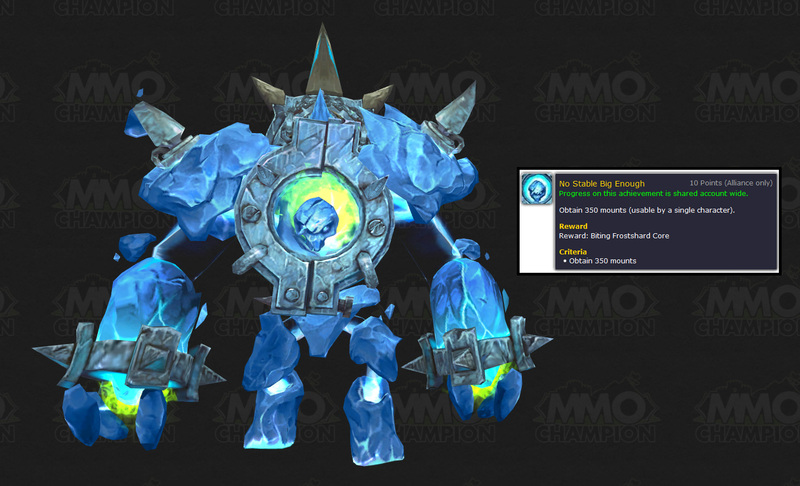 Patch 8.0.1 brings all the Battle for Azeroth system changes and goes live on Tuesday / Wednesday this week. New Login Screen - The Battle for Azeroth login screen is in! Global Cooldown Changes - Many spells that were once off the GCD are now on the GCD. 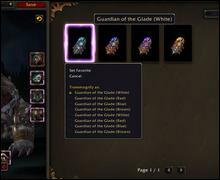 Loot Changes - Master Loot is out, Personal Loot and Legacy Loot are in! Character Customization Updates - Upright Orcs, Golden Eye Blood Elves, Skin Color changes, and less duckface. 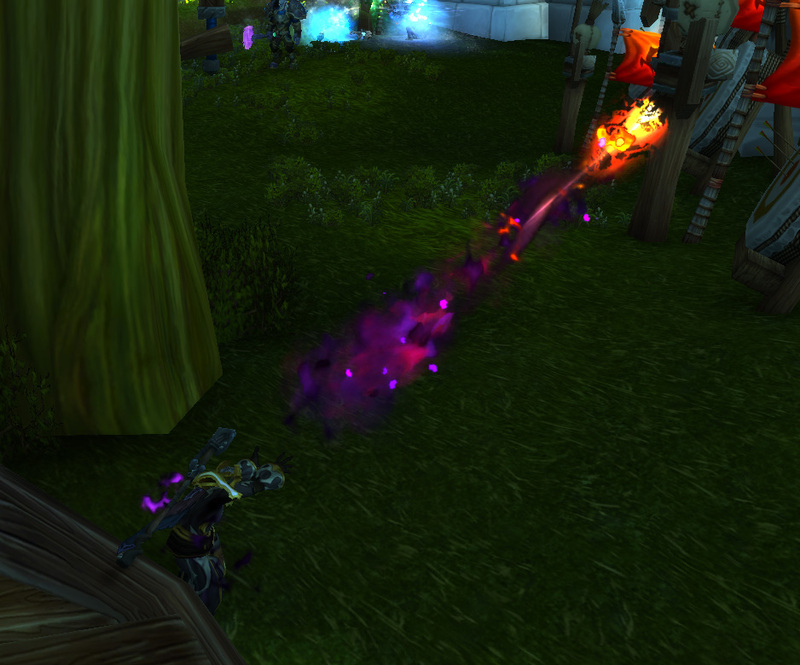 New Spell Animations - Warlocks and a few other classes have some new animations. 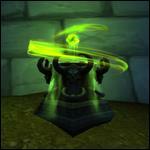 Updated PvP Talents System and War Mode - The PvP Talent system has been reworked and World PvP rules are changing. 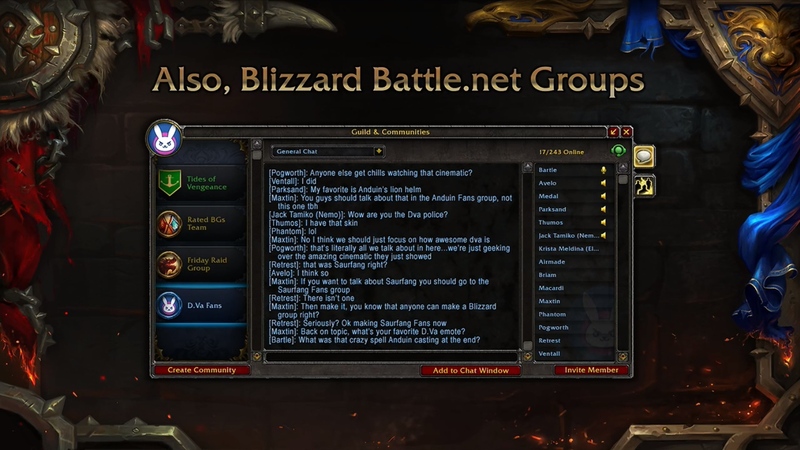 Communities - Blizzard Groups have made their way in game, giving you another way to coordinate with friends. 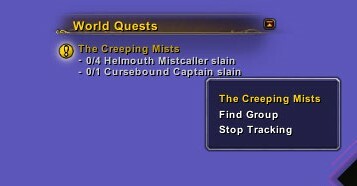 World Quest UI Changes - Finding groups for non-Elite quests is all manual now. 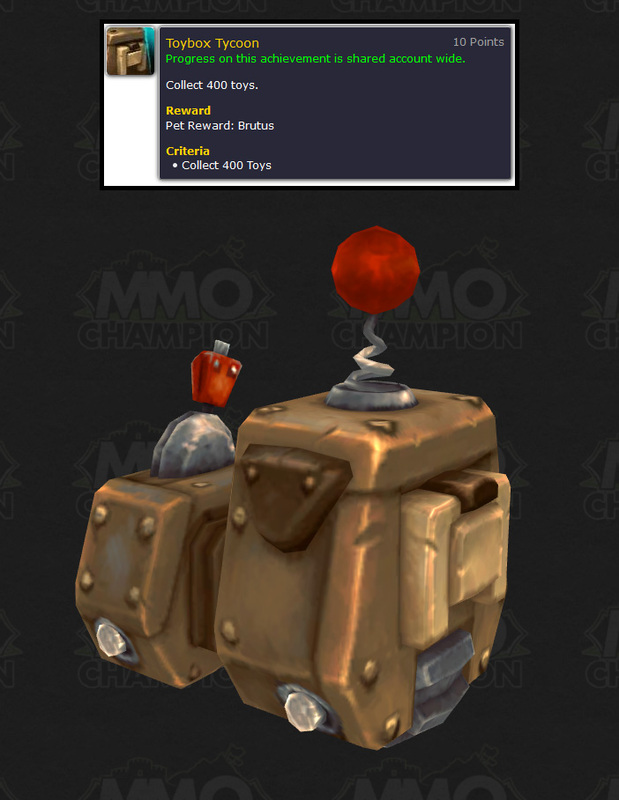 Wowpedia has a user compiled list of undocumented changes in the patch. Keep in mind this list could be out of date. 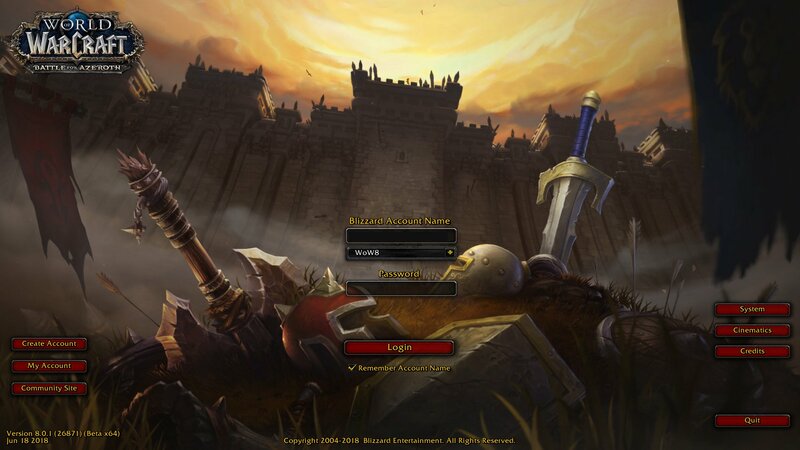 The Battle for Azeroth login screen is added in this patch! Patch 8.0 changes many classes. Icy-Veins is finishing up their guides for the patch! We have updated the talent calculator to reflect all the latest talent options! Many spells and cooldowns that were once off the global cooldown are now on the global cooldown. 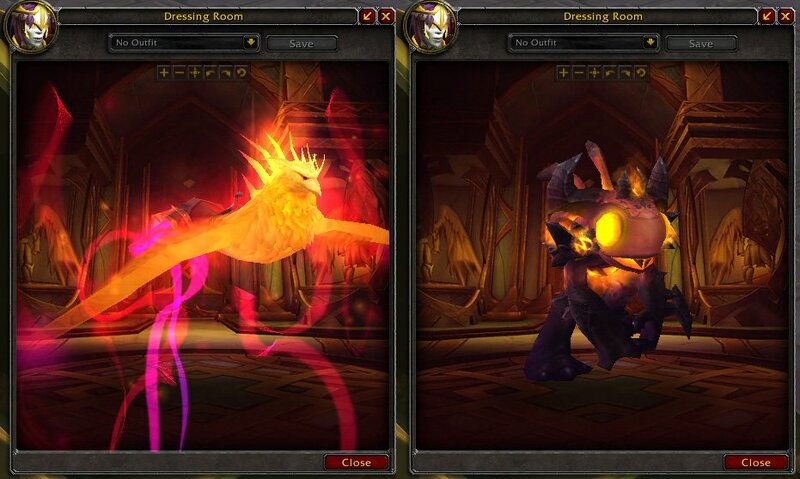 Most Racials and trinkets are still off the global cooldown. 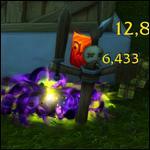 Arcane Torrent is the only racial on the global cooldown. 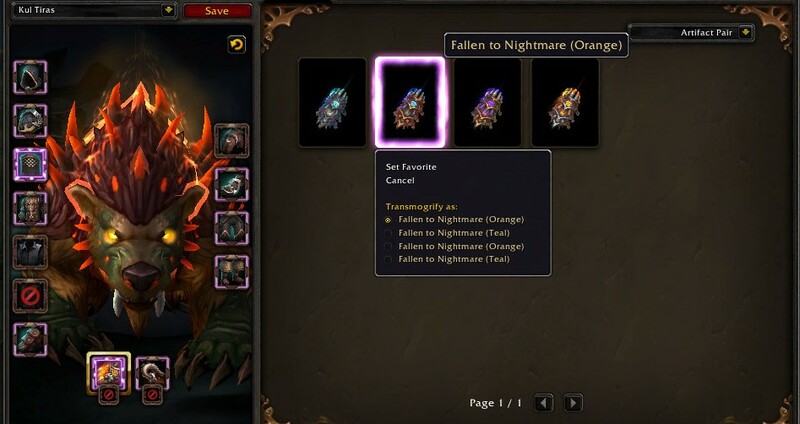 All traits and abilities attached to artifact weapons will become disabled, including those from the Netherlight Crucible and your relics. 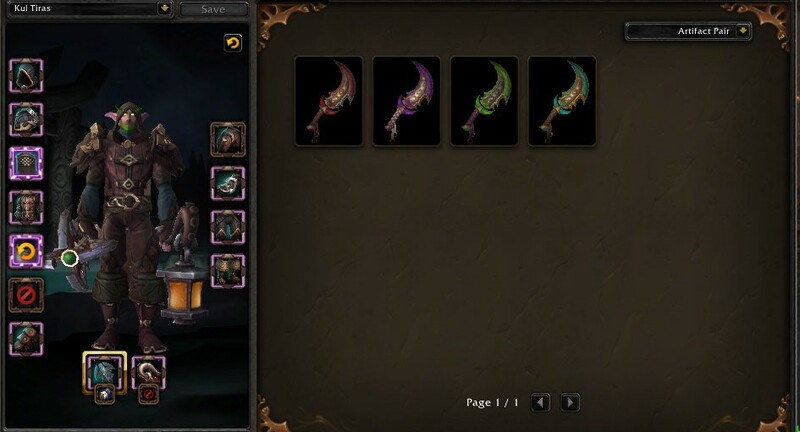 Relics can still be slotted into the weapon, but all they do is increase the item level of the weapon. 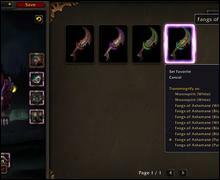 Certain abilities from the artifact weapon have been incorporated into specs as either baseline or talents. 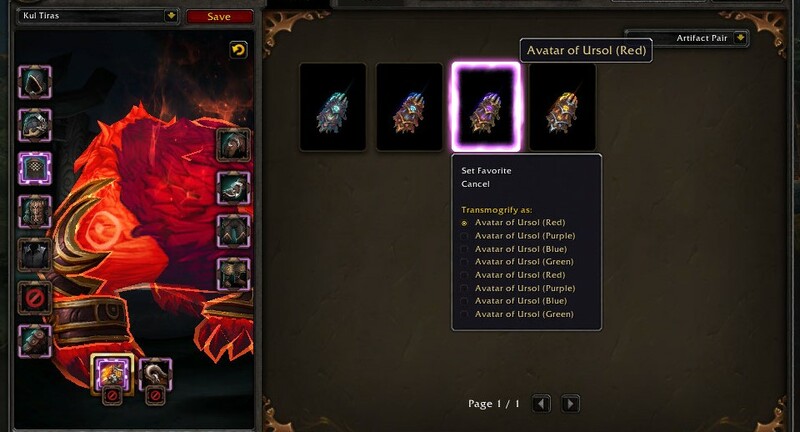 The base tint for mage tower skins is no longer obtainable, but if you managed to unlock it you can still unlock the other colors. 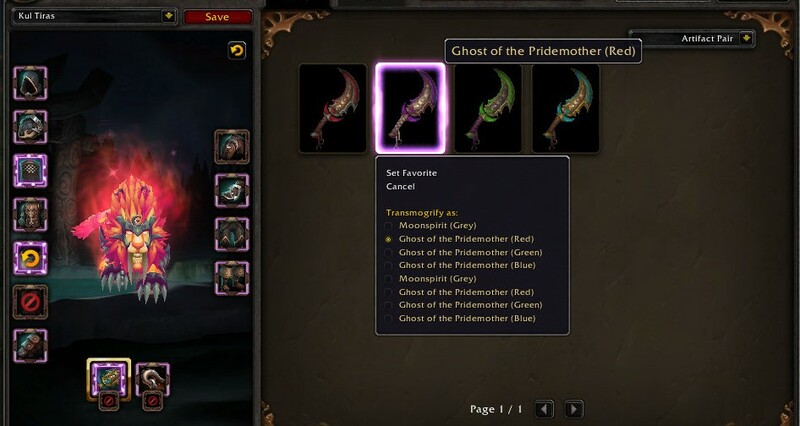 The artifact skin tint tied to completing a Mythic +15 in time is still obtainable in BfA by completing one of the new dungeons at +15 in time. 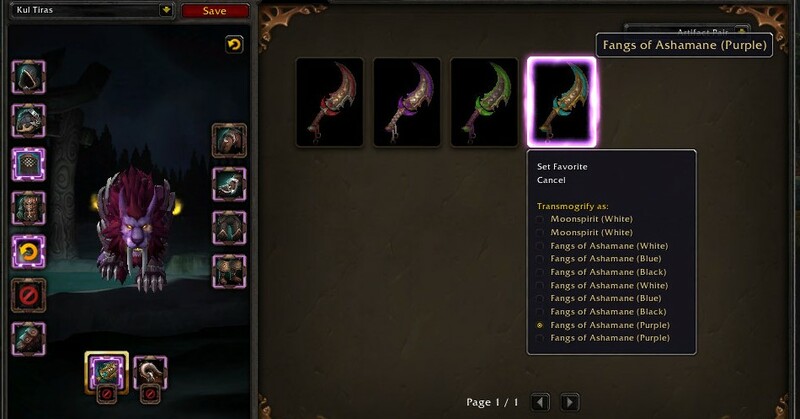 When transmogging your weapon, there is an option under the weapon type drop down menu called "Artifact Pair." 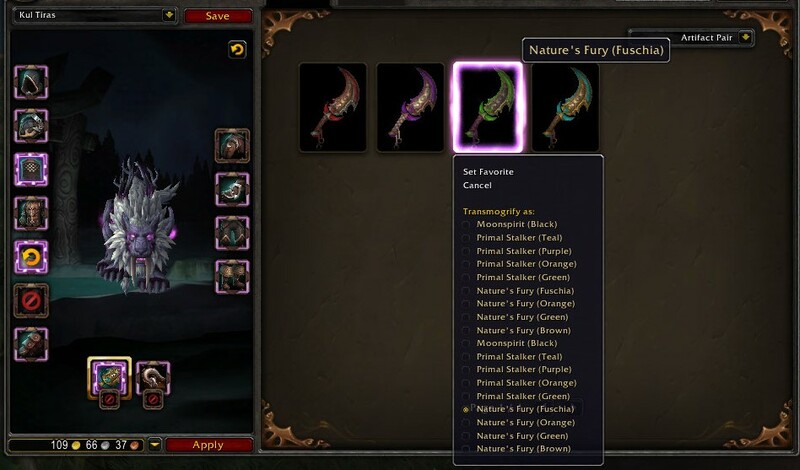 When you select this, you see your basic artifact weapon and the different versions and colors of each unlocked weapon. 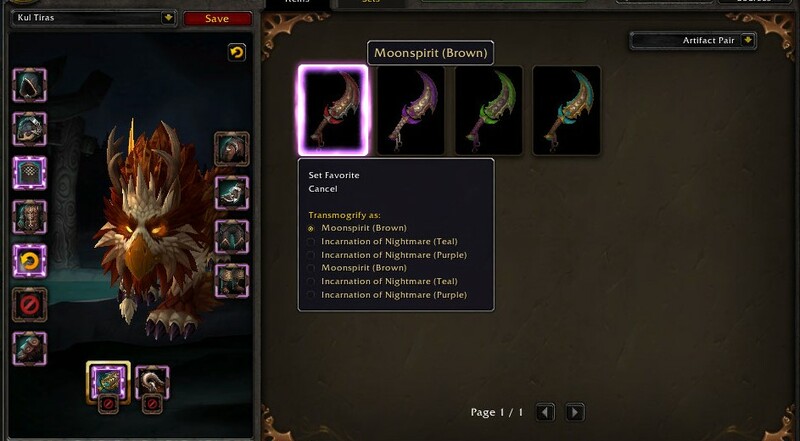 When you right click the version as a druid, a list of the different forms and color options is able to be selected to apply to your character. 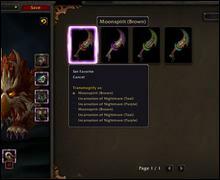 The form is still linked to your artifact weapon and so your weapon will appear as the claws or daggers (based on spec) regardless of what weapon you have equipped. 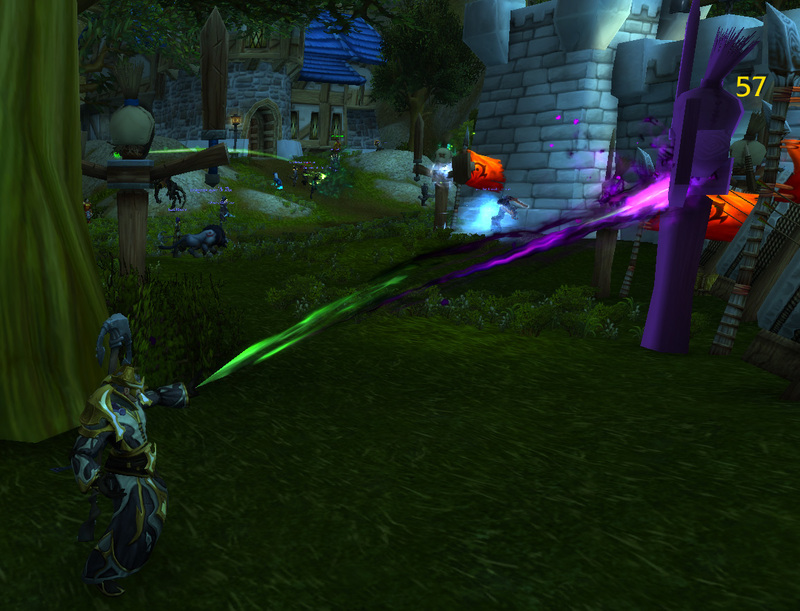 (ex - your equipped polearm would still turn into the dual daggers). 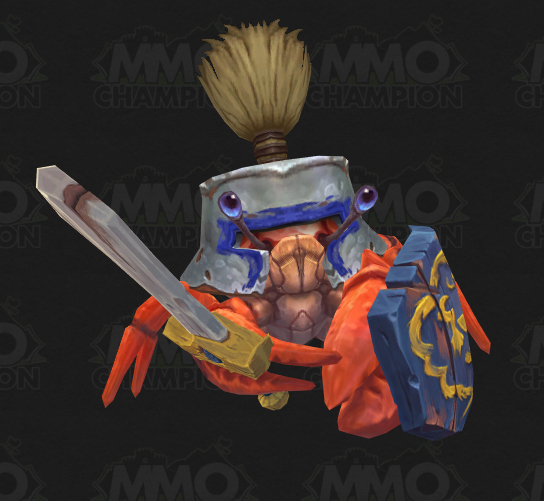 Battle for Azeroth implements an item level squish and we have updated the WoWDB Beta site to reflect the new stats and item levels. 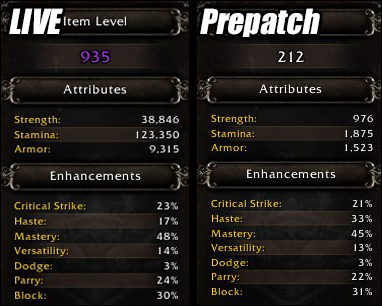 Items of level 950 are now 230. Items of level 980 are now 260. Legendary items with item level 1000 are now 265. Argus trinkets with item level 1000 are now 280. 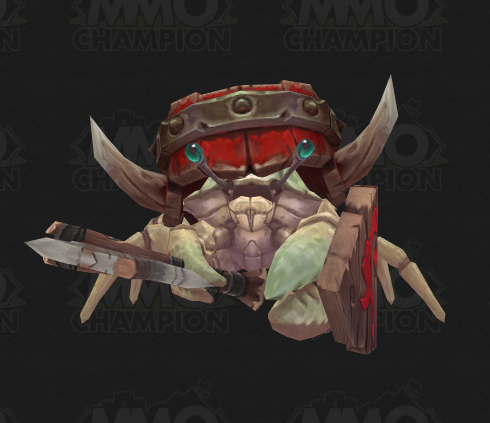 Battle for Azeroth will include a major stat squish just like what happened right before Warlords of Draenor! 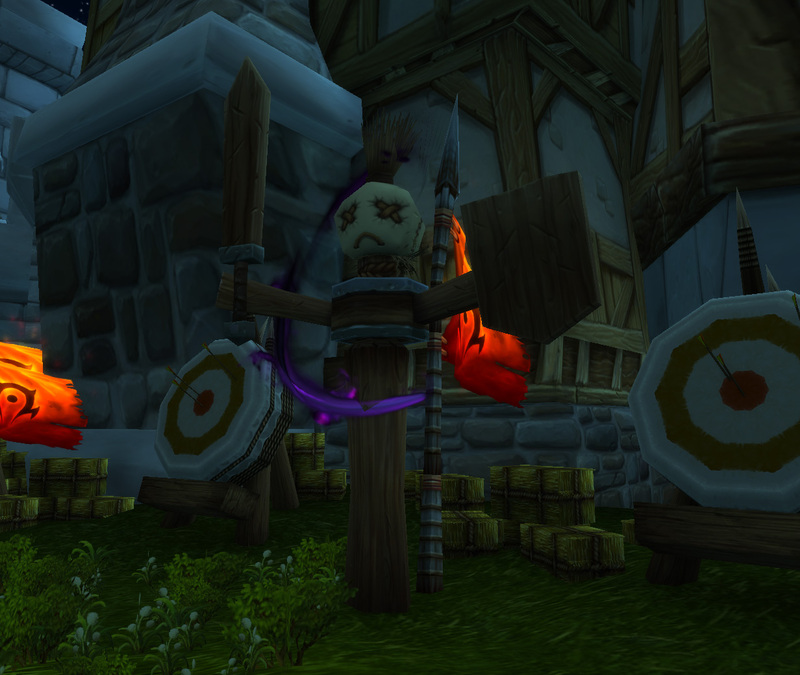 Several classes have seen their castable buffs and dispels return in the prepatch. 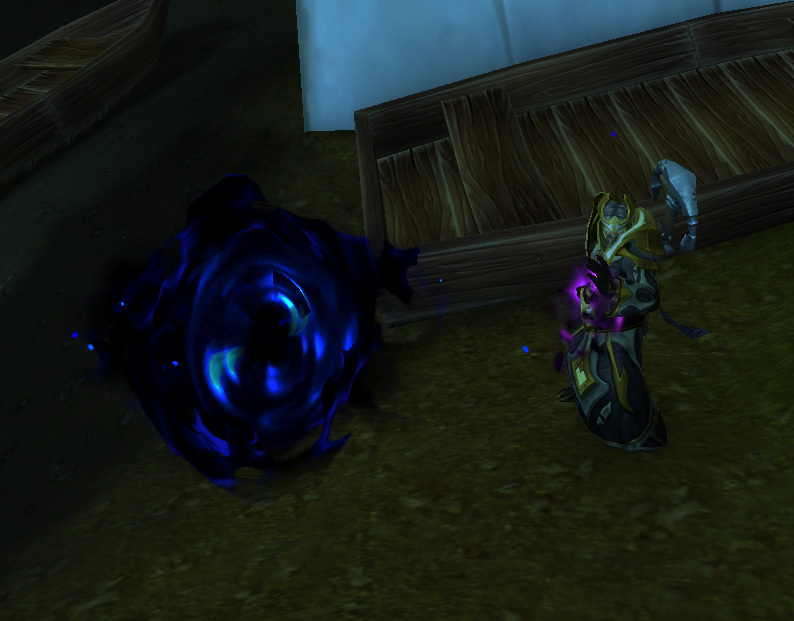 Mage - Arcane Intellect. Infuses the target with brilliance, increasing their Intellect by 10% for 60 min. If target is in your party or raid, all party and raid members will be affected. Priest - Power Word: Fortitude. Infuses the target with vitality, increasing their Stamina by 10% for 60 min. 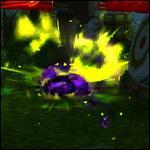 If the target is in your party or raid, all party and raid members will be affected. Warrior - Battle Shout. Increases the attack power of all raid and party members within 100 yards by 10% for 60 min. Demon Hunter - Chaos Brand. Your Chaos/Fire damage brands the target, increasing magic damage taken by 5%. Monk - Mystic Touch. Your damage weakens the target, increasing Physical damage taken by 5%. 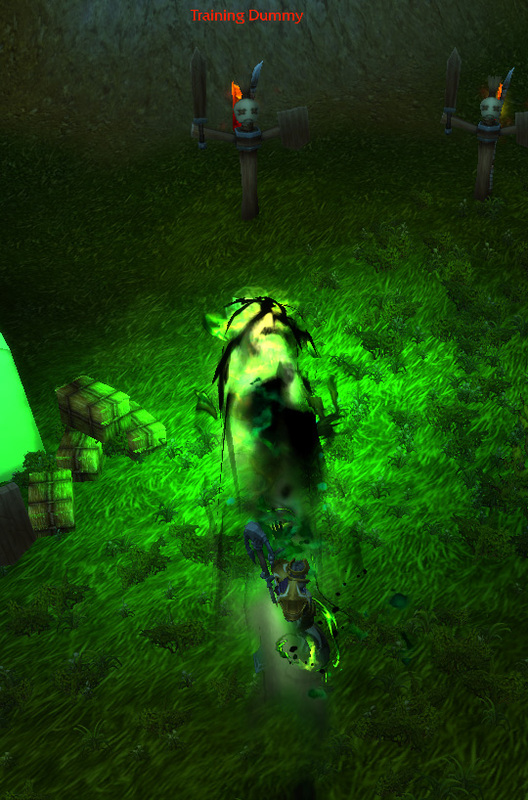 Demon Hunter - Consume Magic. 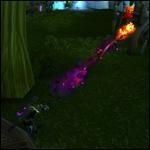 Consume 1 beneficial Magic effect from the target, removing it and granting you 20 Fury/Pain. Druid - Soothe. Soothes the target, dispelling all enrage effects. 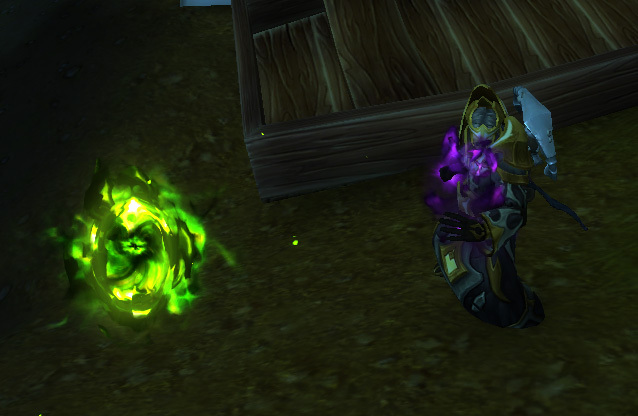 Hunter - Hunters with a bat or nether ray pet can now dispel magic or enrage effects as well. Mage - Remove Curse. Removes all Curses from a friendly target. 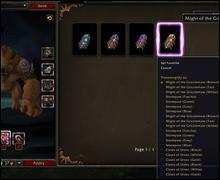 Moving forward, current content will use Personal Loot and old content will use Legacy Loot mode. All current content will use Personal Loot. Master Loot is gone. Group and Master Loot puts players at the mercy of others, often in ways that aren't fair. Trial players in a new guild may not get anything for weeks because that is the guild policy. When you kill a boss, it isn't about if there is something on the corpse that you want, but if someone is going to give you that loot. It disconnects the reward from killing the boss. 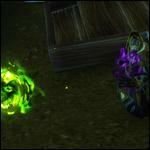 Trading restrictions for loot will work the same as they do now for the most part. If it is lower than the highest item level piece you have ever looted and had soulbound for that slot, you can trade it. 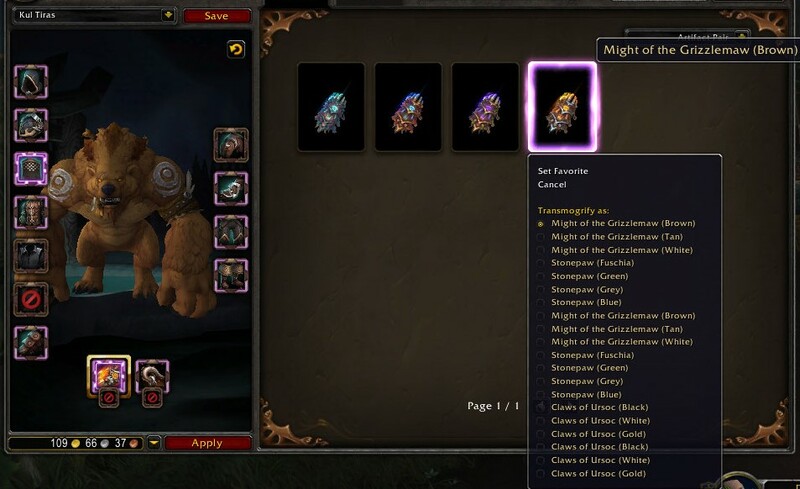 Content that is no longer current will utilize Legacy Loot mode, which boosts the amount of loot and allows loot for any class and spec to drop. Legacy Content occurs when you are 10 levels or more above the maximum level of the content. 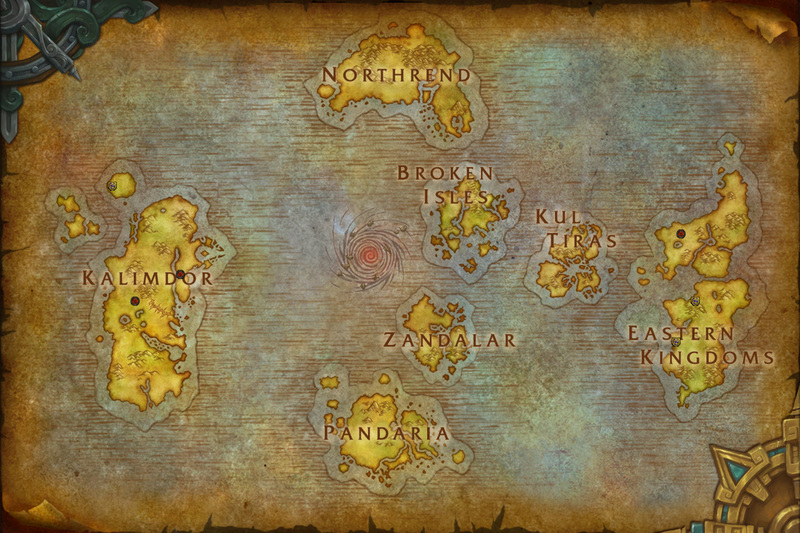 Kul Tiras and Zandalar have been added to the world map. Spoilers ahead! 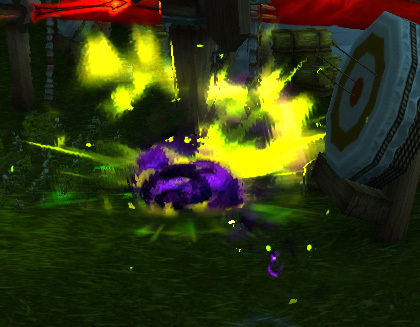 The War of Thorns is the quest chain that leads up to the Burning of Teldrassil. These events won't start until July 24. There are several character customization changes and additions coming with this patch. Orcs will finally be able to stand upright! 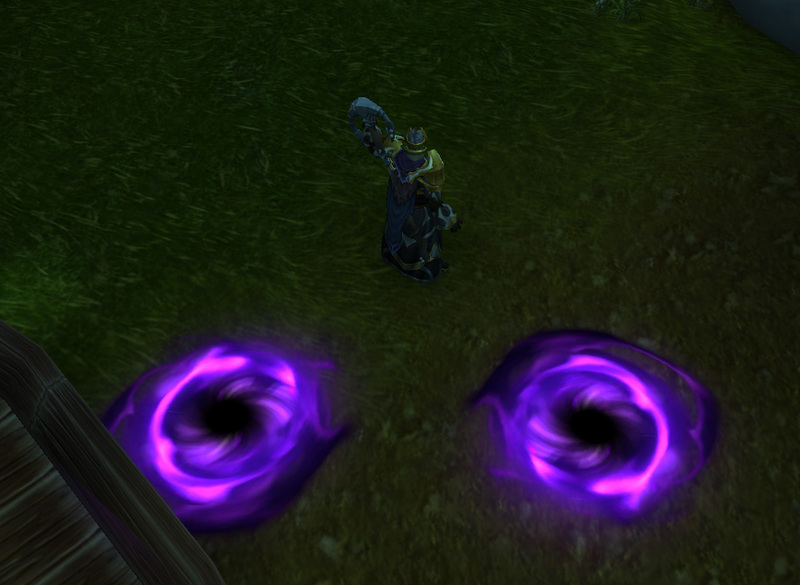 Void Elves had some slight face tweaks. Blood Elf Males now have more relaxed lips. You can now change your skin color for 300 gold at the barber shop. 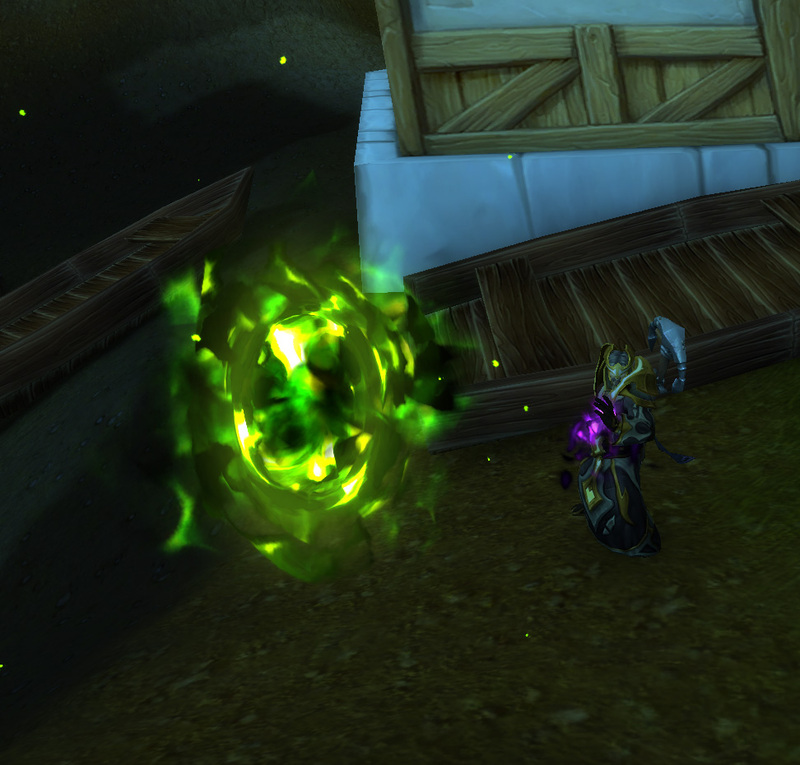 Warlocks and a few other classes have some new animations. Each profession will now be separated into expansions and leveled separately from one another. 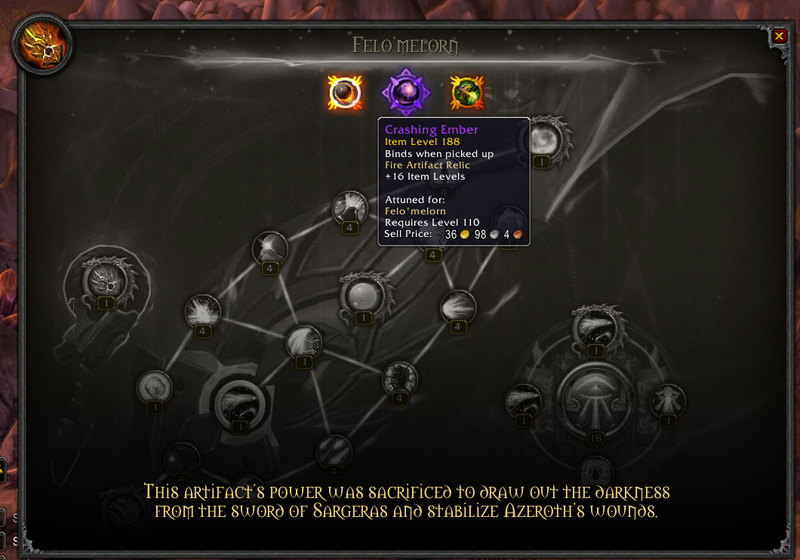 Each expansion will have it's own leveling path for items from that expansion, similar to the Mists of Pandaria cooking. To clarify further, an example of this means that you can level your "Cataclysm Tailoring" by crafting Cataclysm patterns, but this doesn't stop you from progressing your "Kul Tiran / Zandalari Tailoring" with the new expansion's patterns. First Aid is going away and its patterns are being redistributed into Tailoring and Alchemy. Your First Aid crafts will have to be relearned in their respective new profession. 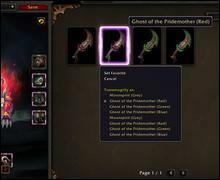 In BfA will we have to relearn crafts from previous expansions? PvP talents are unlocked for everyone as they level, rather than through PvP gameplay. 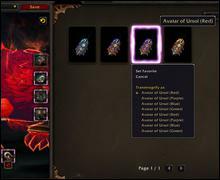 Players can select three PvP talents from a large pool of options for your spec, including a "PvP Trinket" style talent. 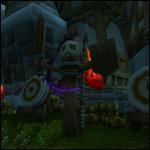 War Mode allows you to toggle on and off World PvP on all realms, removing the distinction between PvE and PvP realms. War Mode can be toggled on or off in your faction's capital city. Players will only see other players that have War Mode on if they have it on, or players that have it off if they have it off. War Mode enables PvP Talents everywhere that PvP can happen and provides 10% bonus XP and rewards from World Quests. You will only see groups in the Group Finder that contain players who also have War Mode set to the same status that you do. 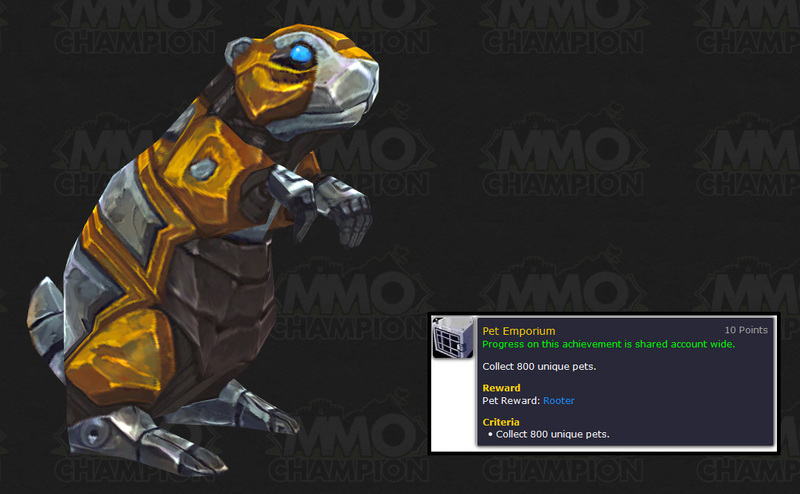 Honor is account wide and still grants increased Honor Levels, which reward titles, pets, mounts, icons, and more. PvP Progression will receive some significant overhauls in this patch. We've highlighted some of the important points below, but be sure to read the full post for all of the details. Ratings now fall into brackets: Combatant, Challenger, Rival, Duelist, and Gladiator. 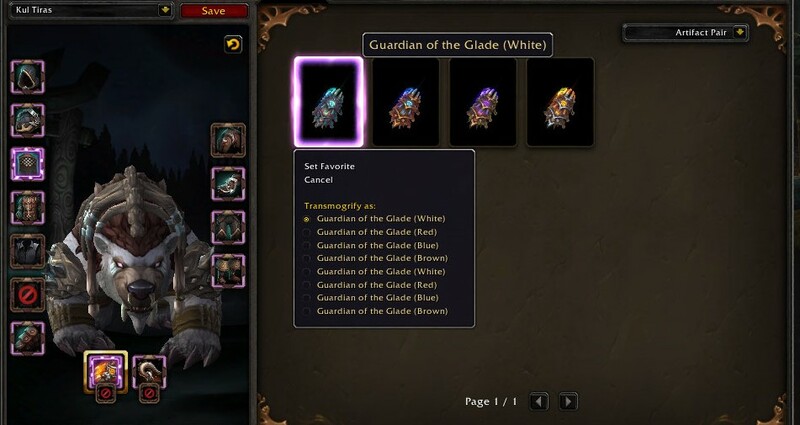 Players can earn a specific piece of raid-quality gear each week, adding up to full sets of increasing quality over the course of a season. 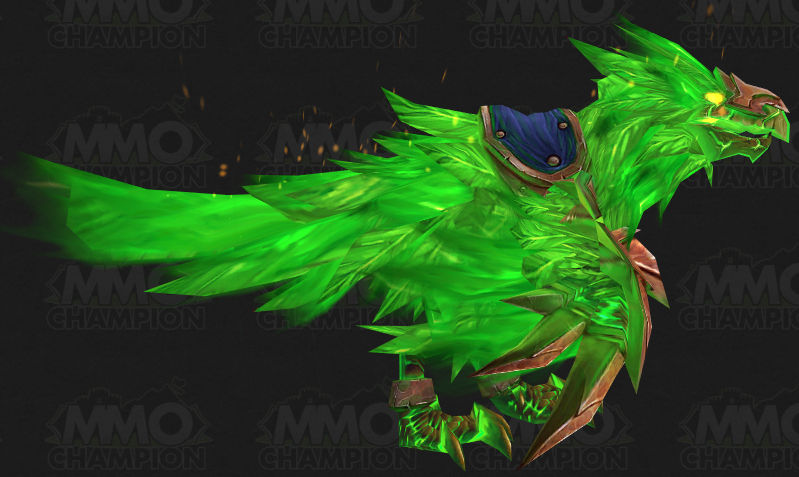 Rated play in any bracket (including 2v2) will count toward earning Vicious mounts. 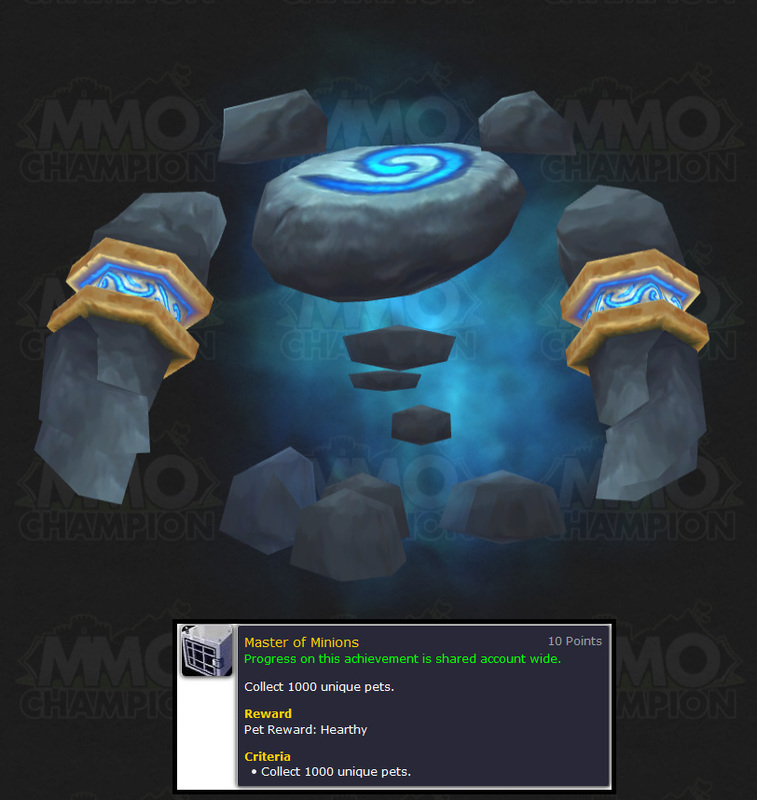 There is a new end-of-the week reward similar to the weekly chests you can earn for doing Mythic Keystone dungeons. If you’ve filled up your Conquest bar for the week, you’ll receive a reward in the chest. The item level will be based on the highest bracket in which you won at least one game last week. The prepatch is adding a PvP Tier system for 2v2, 3v3, and RBGs! The listed max rating is likely when you will ascend to the next tier, with the listed min rating for each tier being slightly below when you ascend to that tier to prevent you from dropping back down right away. 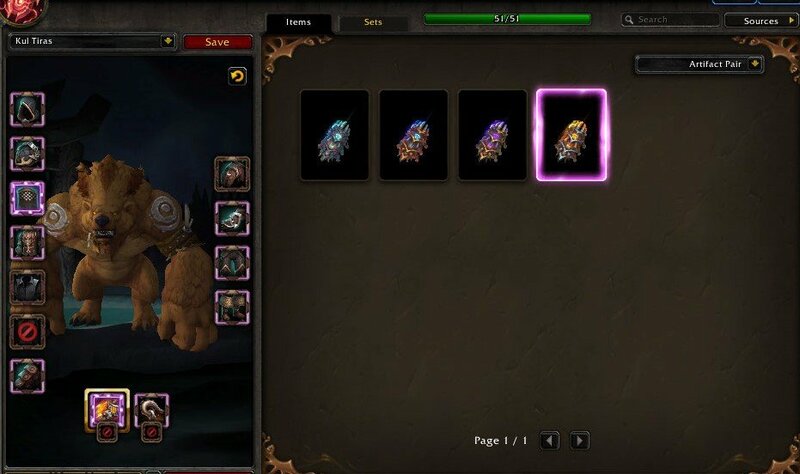 In BfA we are doing some meaningful re-structuring of the PvP itemization system, as well as the ranking system. We're still massaging the system, but we'd like to share some details which may help alleviate some of your concerns. Keep in mind some of this stuff could still change. No pony promises. We're updating the ranking system to better mirror the other games at Blizzard. WoW via arena is actually one of the first competitive games at Blizzard to have a rating system, so it's fair to say it's time for an update. To that end we want to bucket players in rankings similar to StarCraft or Overwatch using labels such as Gold, Platinum etc. (We're still going to have our own titles (Challenger, Rival, Duelist etc.)) We feel these rankings have grown to common verbage in the competitive PvP community so we're happy to bring them to WoW. Keep in mind that you'll still be able to see your rating at end of match and within the UI. And we're also looking to add your actual rank in the UI as well (as in, you're rank #10 in the region). Similar as in Legion, we're going to reward you with better gear based upon your competitive standing. 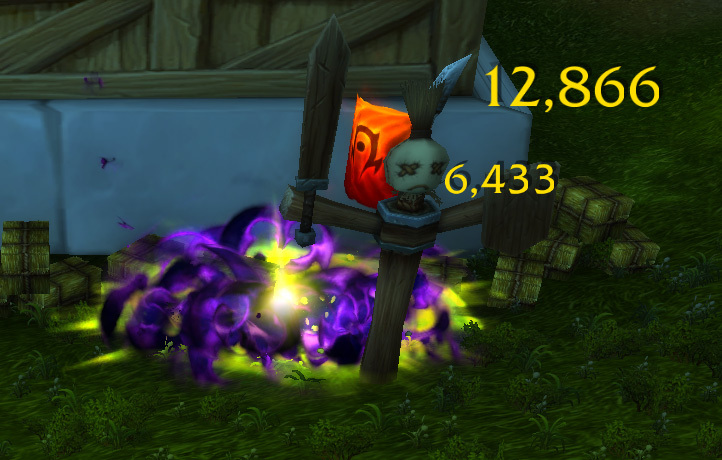 However, in Legion we rewarded you incrementally in a linear fashion. So as you gained more rating, your iLevel gradually increased. We found this didn't reflect the distribution of players very fairly in terms of appropriate reward for effort in the system. (Translation: The iLevel of rewards was generally too low) In result we're changing the distribution instead to be something of a bell curve, to match the new ranking system. What this means is that players in Challenger/Gold (1600-1800 around) will have a chance at ~Normal raid quality loot, Rival/Platinum (starting around 1800) with Heroic Raid quality loot, and so on. Different rewards will be tied to different rankings. In Legion you got the entire Epic appearance when you hit 2000 rating, in BfA this will be gradually rewarded to you at different ranks. And you will instantly get the look after you achieve that rank, rather than a end of season calculation. We totally get the concerns with potentially too broad of brackets. And we definitely agree the competitive spirit often burns brightest at the highest ratings, so it's something we'll be mindful of. 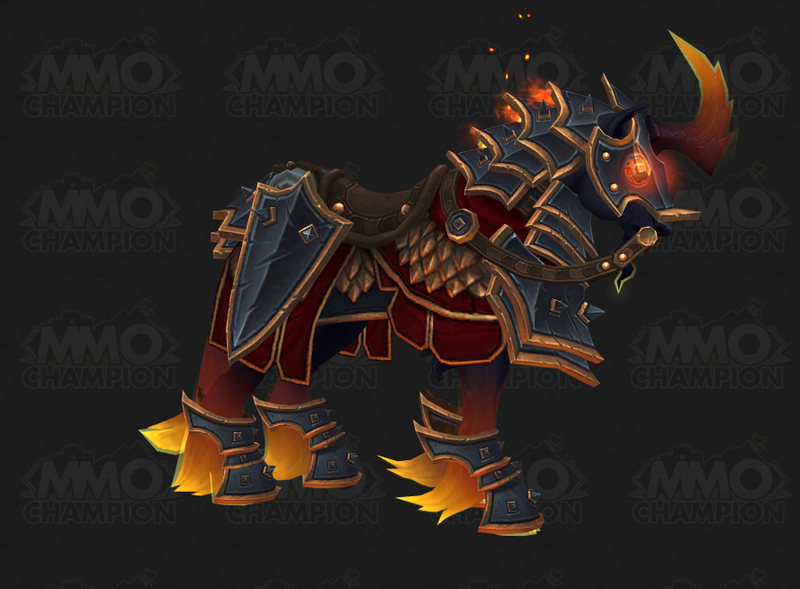 Season Gladiator mounts (and likely glad titles) will still be a % distribution at end of season like in the past, and we could see new rewards for the upper brackets as we shift some of the others (Epic appearances) downwards. As discussed in the past, we're introducing a conquest system based upon past designs. You will earn conquest from doing PvP activities (mostly rated, but some also from War Mode) that will fill a bar for a reward each week. This is intended to be attractive to the average player. 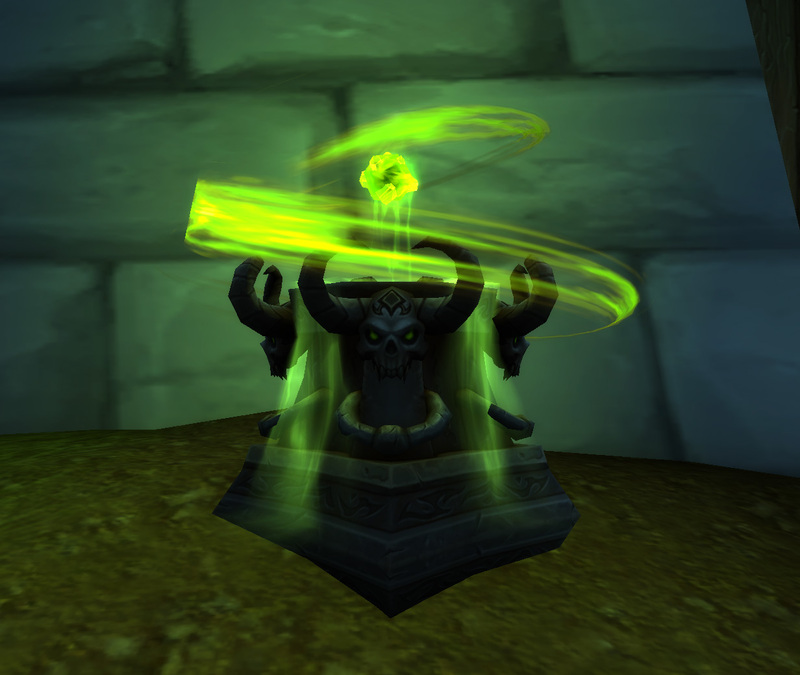 One of our biggest goals with the new system is to better align the effort and reward in contrast to all of the other parts of the game, especially at the lower rankings who perhaps in Legion (or in the past) didn't see it as worth their time. I think we can all agree that more players doing competitive PvP is a worthwhile goal. We hope to have these systems live in beta soon, and hope to hear your feedback! Will there be any incentive to do casual BGs? Perhaps a small daily reward of conquest? New system sounds great otherwise. Our current thought is you'll get a good chunk of conquest for first win of the day (Normal Battlegrounds as well as Epic Battlegrounds), as well as a little bit for wins. 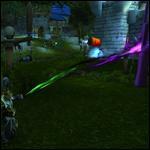 You will no longer prestige in the prepatch. The new honor level system goes up to 500. 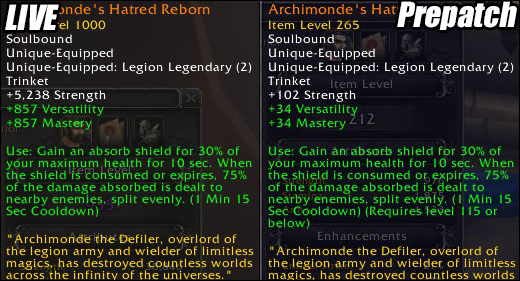 The prestige rewards from Legion are being redistributed among this new cap, but if you already earned them you won't have to grind them again. Here are the current rewards from the new Honor level system. Honor Level 25 - Title: "The Honorable "
Honor Level 50 - Title: "The Prestigious"
Honor Level 80 - Title: "The Unrelenting "
Honor Level 100 - Title: " the Unstoppable Force"
Honor Level 200 - Title: "Bound by Honor"
Honor Level 300 - Title: " the Tactician"
The community system is in! This system is similar to Blizzard Groups, and actually lets you create Blizzard Groups in game. 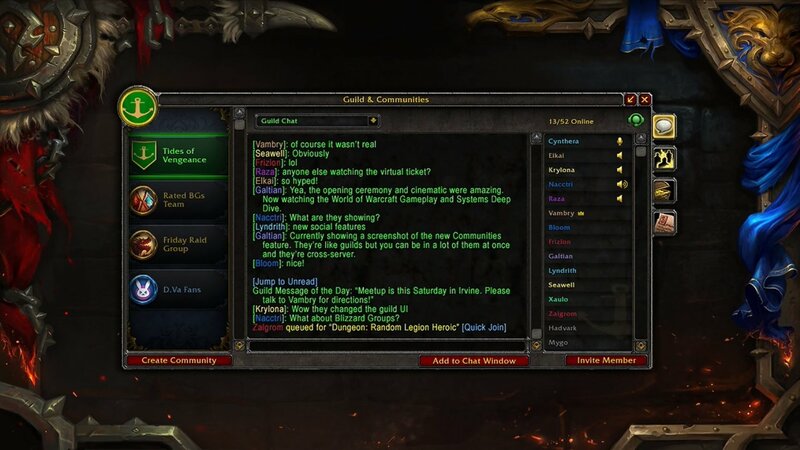 Players can be in multiple communities, use the text chat (with history), voice chat, roles, calendar invites, and more! 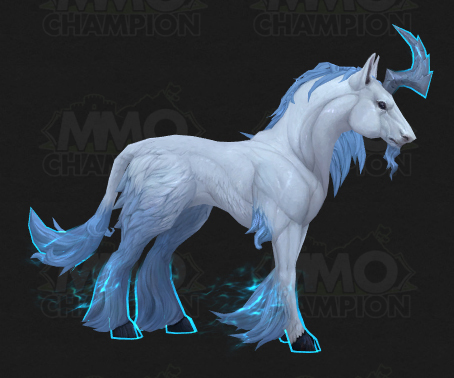 A Horde of Hoofbeats Obtain 400 mounts (usable by a single character). 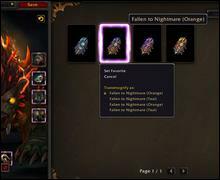 Rewards Frenzied Feltalon mount. 100 Exalted Reputations Raise 100 reputations to Exalted. Rewards the title: Esteemed. 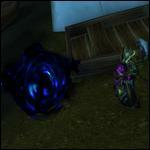 Pureheart Courser is also a reward from this achievement. You can now see mounts and pets when someone links a mount or pet in chat by using Ctrl + click it to preview it in the dressing room window, similar to the current functionality for armor and weapons. It will be significantly more effort to group for World Quests due to new restrictions on what addons can do with the Group Finder. The default UI no longer offers the option to find a group for non-elite quests. The option is still there for Elite quests. 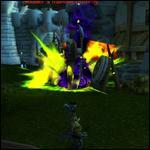 Addons can no longer automatically create groups, even with a user pressing the button. The title and description can only be manually filled out. 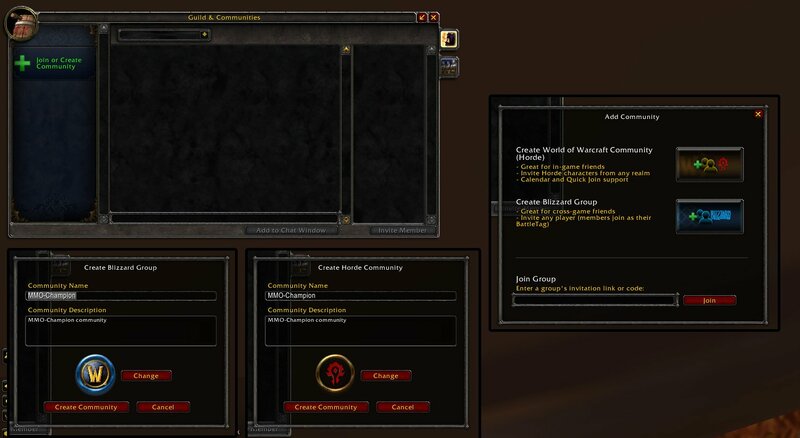 Users will have to manually add a title and create a group for world quests. You can't even paste text into the fields. Addons can still search for groups. 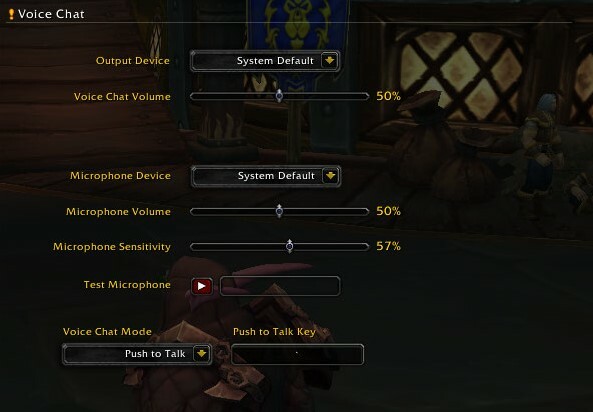 You'll find the voice chat controls along the left side of the text chat window, and you can configure your devices and push-to-talk in the Voice Chat section of System settings. The bottom right actionbar is now twelve buttons in two rows of six rather than two rows of ten. The micromenu and bags have all been moved to the bottom right. 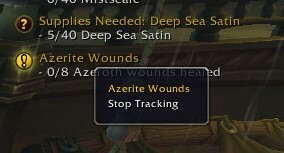 All of the Battle for Azeroth icons are added in this patch. Patch 8.0.1 has some new emotes, tips, and more!